One of the star attractions will be the UK-manufactured QUICK TURN 250MY + TA-12/200, a combination that offers a turning centre combined with a ‘plug and play’ automation system including a FANUC robot. The pairing of the turning centre and robot is designed to appeal to customers requiring a single source supplier for both machine tool and automation and will attract machine users requiring lights-out and unmanned running capability. For ease of use, the robot operating system is embedded into the machine’s SmoothG CNC, providing a seamless interface for the operator. The TA-12/200 is capable of moving a maximum payload of 12kg/200mm diameter and is equipped with separate grippers for loading and unloading. The QUICK TURN 250MY + TA-12/200 is efficient to automate even for small batches with an easy robot programming system that targets set-up of new components in under 5 minutes. Operator safety is ensured by a fenceless security system featuring a laser scanner with zoned warning and protected areas, which allow safe access for the operator. Mazak calculates that the automation solution could have a payback period of as little as six to eighteen months. 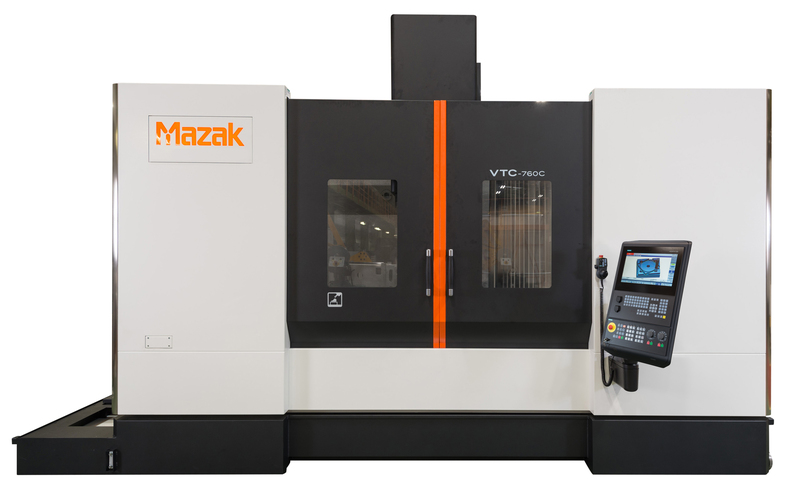 Subcontractors will also be interested in the latest Mazak machine to be fitted with Siemens control, the VTC-760C vertical travelling column machining centre, which is equipped with the new Siemens 828D control. The CNC benefits from advanced features such as ShopMill work-step programming enabling programs to be written on screen via a simple dialogue. It also features Siemens multiple clamping function that actively reduces the number of tool changes. In addition, a built-in onboard maintenance planner is included, which facilitates easy integration of regular maintenance schedules into production. The control can also be configured to send SMS messages to operators, machine setters, or service and maintenance technicians to provide alerts for tool life, availability of blanks and upcoming maintenance schedules. Alongside on the Mazak stand will be the VCN-530C, a vertical machining centre that can boast the highest levels of productivity in its class. For subcontractors, the machine can deliver reduced cycle times thanks to the high speed 42 m/min rapid rates, outstanding acceleration and fast chip-to-chip times. The model on view at MACH features an optional 18,000 rpm high speed spindle and a large capacity 40 tool magazine. High accuracy and thermal stability are ensured by the combination of ballscrew cooling plus Mazak’s thermal compensation system. The final highlighted machine of interest to subcontractors will be the high-productivity QT-COMPACT 300MSY L, an entry level machine boasting high end features such as a Y-axis and second spindle. This machine features a 12 position turret with driven tooling speeds up to 4,500 rpm. The integrated main spindle provides higher accuracy and performance compared to competitor belt drive spindles. 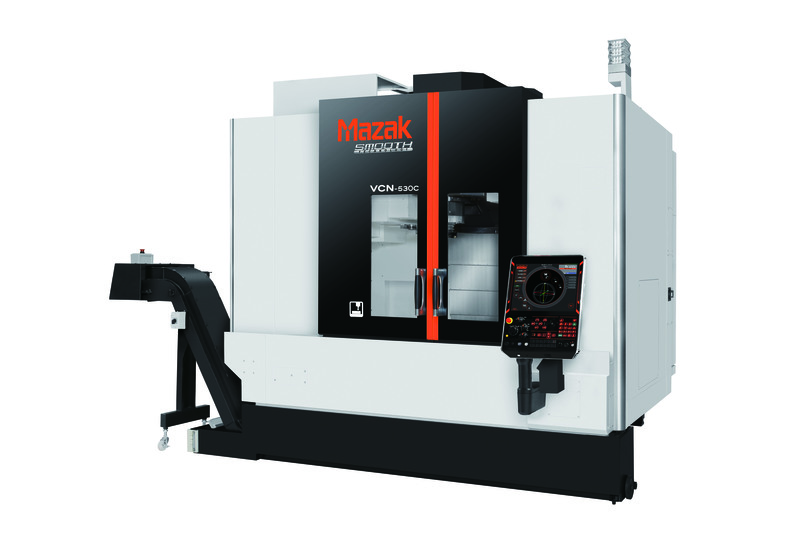 The machine features Mazak’s class leading SmoothC control with high speed processing and both conversational and EIA programming.